We all learn from life experience. Even at work, our experiences inform how we approach certain projects or tasks—for better or worse. Organizations that understand this human tendency are able to leverage that learning constructively to benefit others. Those that don’t suffer the consequences and commonly have pockets of best and worst practices that deviate dangerously (and unpredictably) from established norms. When there is a strong sense of trust within an organization, group learning, ongoing communication, and collaboration can happen best. This presentation will emphasize the importance of learning through operational experience and will provide tips for encouraging open dialogue around best (and worst) practices. Learning should not stop at the classroom door. Learn how to transform knowledge into capability, inspire others, and keep knowledge alive. 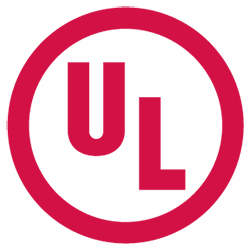 Jonathan Jacobi, a Senior Environment, Health and Safety Advisor with UL, has more than 20 years of health and safety leadership experience. He is a Certified Safety Professional (CSP) and OSHA Authorized Outreach Trainer who earned graduate and post-graduate degrees in Occupational Health and Safety from Murray State University. Jonathan has played a leadership role in the creation and evolution of the UL EHS Sustainability online training library and helped establish and currently leads UL’s OSHA Outreach Training Program. His insight and experience managing safety systems is shared with the health and safety community through various forms of consultation and thought leadership such as national seminars, presentations, articles, and white papers.